Your search for an Apple iPad case, skin, or cover is now over. ZAGG's invisibleSHIELD is an exceptionally clear and virtually indestructible film that will protect your Apple iPad from unsightly scratches. This exclusive, patented film - with nano-memory technology - covers and shields your device, keeping it as pristine as the day you took it out of the box. 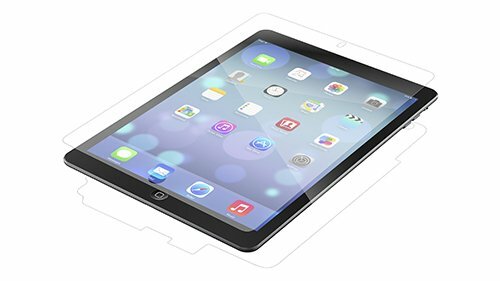 The precision pre-cut invisibleSHIELD applies directly to your Apple iPad providing the toughest, most durable protection you will find. The invisibleSHIELD has its origins in the military, where it was used to protect high-speed helicopter blades from dust, dirt and debris. Now you can use that same powerful technology to protect your Apple iPad. 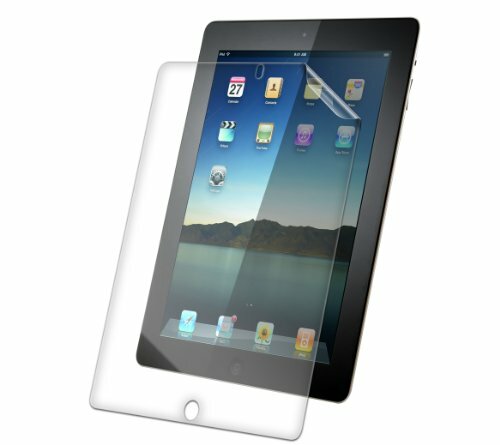 The invisibleSHIELD is only .2 millimeters thick making it the slimmest Apple iPad skin or Apple iPad cover of its kind. It is so tough that Zagg backs it with a lifetime guarantee. So, if it ever does wear or scratch, they will replace it for free, for the life of your device. And if you ever need to remove the invisibleSHIELD, no problem; it comes off clean and leaves no sticky residue. Your search for a Laptop case, skin, or cover is now over. ZAGG invisibleSHIELD is an exceptionally stylish and virtually indestructible film that will protect any Laptop from unsightly scratches. 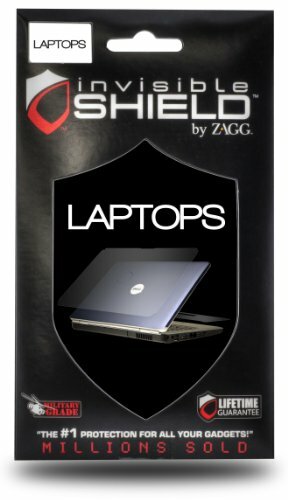 Our exclusive, patented film - with nano-memory technology - covers and shields your Laptop, keeping it as pristine as the day you took it out of the box.The precision pre-cut ZAGG invisibleSHIELD applies directly to your specific model Laptop providing the toughest, most durable protection you will find. The ZAGG invisibleSHIELD has its origins in the military, where it was used to protect high-speed helicopter blades from dust, dirt and debris. Now you can use that same powerful technology to protect your Laptop.The ZAGG invisibleSHIELD is only .2 millimeters thick making it the slimmest Laptop skin or cover of its kind. If you ever need to remove the ZAGG invisibleSHIELD no problem; it comes off clean and leaves no sticky residue.If you're still not convinced, check out our demo video and see for yourself how strong ZAGG invisibleSHIELD really is. The invisibleSHIELD - ZAGG's customized, patented flagship product is tough. Created from a resilient film that was first used to protect U.S. Military helicopter blades from high-speed damage, the invisibleSHIELD is your personal electronics defender. This rugged film wraps around consumer electronics and keeps them functioning and looking great, just like the day they came out of the box. Featuring ZAGG's exclusive Nano-Memory technology, the invisibleSHIELD has unique properties that provide self healing qualities and unrivaled abrasion resistance.The first invisibleSHIELD design came about in early 2005 when a man wanted to protect his wristwatch from nicks and scratches. He found the solution in a clear, thin, and very durable military film originally made to protect US military helicopter blades from high-speed damage. He immediately saw the massive potential for a virtually invisible and indestructible protective covering in consumer use, and began working on two fronts: legally securing this new idea of putting clear protective adhesive film covering on electronic devices, and developing other innovative uses for the film. Once patents were prepared and filed, the invisibleSHIELD made its world debut. Your search for a Laptop case, skin, or cover is now over. ZAGG invisibleSHIELD is an exceptionally stylish and virtually indestructible film that will protect any Laptop from unsightly scratches. Our exclusive, patented film - with nano-memory technology - covers and shields your Laptop, keeping it as pristine as the day you took it out of the box. The precision pre-cut ZAGG invisibleSHIELD applies directly to your specific model Laptop providing the toughest, most durable protection you will find. The ZAGG invisibleSHIELD has its origins in the military, where it was used to protect high-speed helicopter blades from dust, dirt and debris. 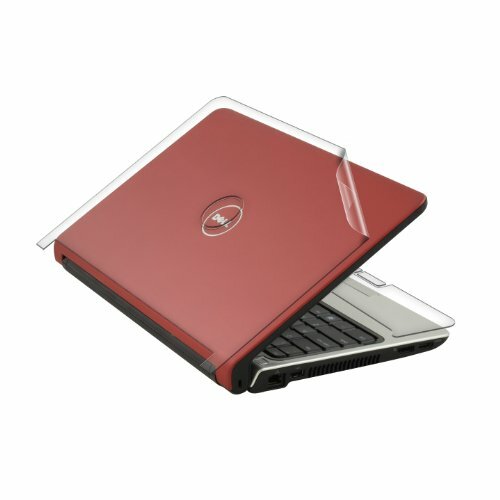 Now you can use that same powerful technology to protect your Laptop. The ZAGG invisibleSHIELD is only .2 millimeters thick making it the slimmest Laptop skin or cover of its kind. If you ever need to remove the ZAGG invisibleSHIELD no problem; it comes off clean and leaves no sticky residue. If you're still not convinced, check out our demo video and see for yourself how strong ZAGG invisibleSHIELD really is. Brand New Product, Factory Sealed, Ships from Washington, D.C., Shipment with Tracking information , Expedited Shipping Available. 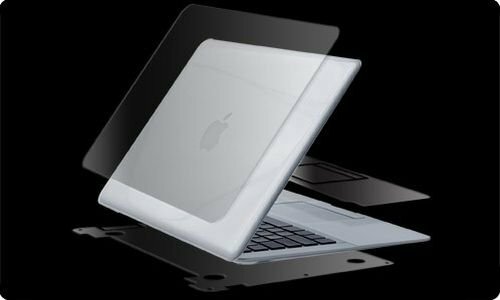 Looking for more Zagg Invisibleshield Notebook similar ideas? Try to explore these searches: Castle Bank, High Heel Inserts, and Quick Draw Carrier. Shopwion.com is the smartest way for comparison shopping: compare prices from most trusted leading online stores for best Zagg Invisibleshield Notebook, Armour Fleece, Black Suede Croc, Notebook Zagg Invisibleshield . Don't miss this Zagg Invisibleshield Notebook today, April 20, 2019 deals, updated daily.